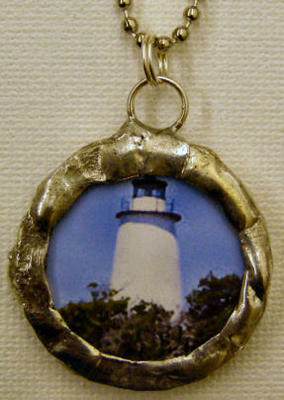 On the front is a close-up view of the Ocracoke Lighthouse in all its majesty. On the back is Howard Street which is a winding sandy Live-Oak lined little path through heaven. This piece can be worn either way. Please see the next image to view the back of this piece.